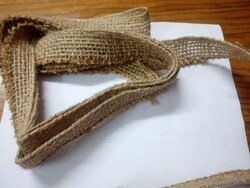 Jute is eco friendly products, Jute Ribbon is used for dry flower bouquet, decoration, gift packaging and tree wrapping, it is in natural and multi color, we are making jute ribbon in multi colour started from 5 cm, 6 cm, 7.5 cm, 10 cm, 15 cm, and 20 cm. 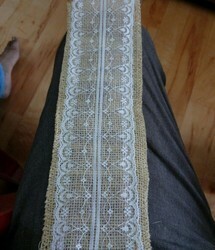 more over we can make 50 cm, 60 cm, 70 cm and 100 cm in length of 3 mtr, 5 mtr, 10 mtr, 15 mtr and 25 mtrs. Packing : Each roll with lable, and in carton pack. each carton pack is printed as per buyer choice. 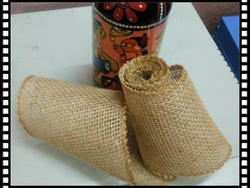 We offer skillfully Crafted Jute Ribbon in different patterns and designs, which are perfect to compliment the interiors. Ideal for seat belts and harnesses or in upholstery, these ribbons are comprised of the jute tape ribbon &yarn, jute color tape, jute tape roll and many more. 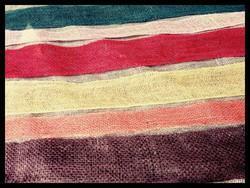 Our team of skilled and experienced professionals performs various quality tests to assure the superlative quality of these Coloured Jute Ribbons before delivering to clients. 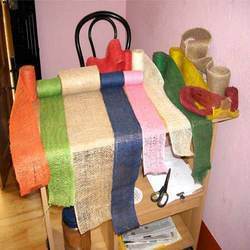 We are the leading manufacturer and exporter of Jute Colour Tapes that are made in accordance to the latest industry standards. 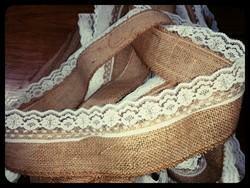 These tapes are widely in the apparel to enhance the apparels. These are designed using finest fabrics and thus find usage in packing gifts, making flower bouquet and fashion accessories. Available in various elegant shades, these tapes come in various thickness and lengths to suit the demands of clients. 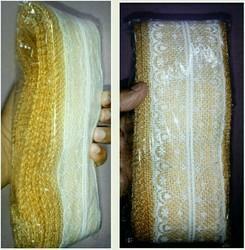 Packing 6-10 meter each Bundle. 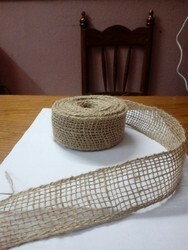 Jute ribbon 10 cm x 5 to 20 mtr per roll, both sides overlocked. Price : @ USD 1.00 per roll cnf. 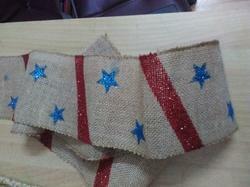 Designer Jute Ribbon for decoration. 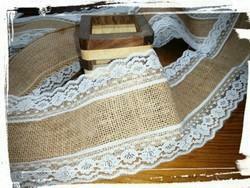 Jute lace braid tape 4"
Jute Ribbon 4 CM in Width; color would be Natural or Dyed depending on the Order Specification.